Coordinated design of power supply and torch ensures optimum cutting results in relationship to speed and quality. Support of optimal power for all cutting tasks. 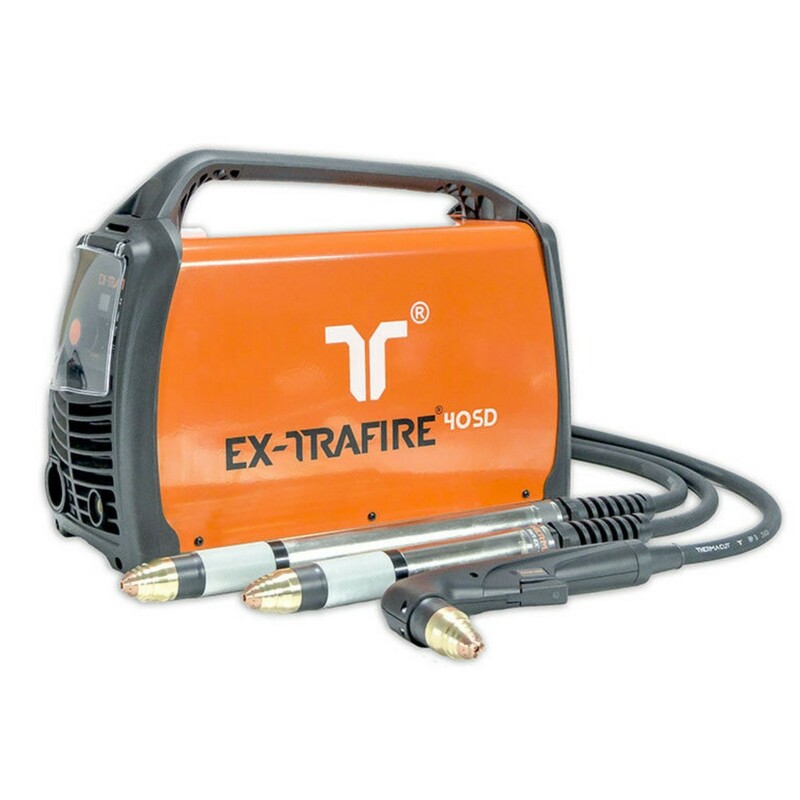 Optimized for industrial plasma cutting and applications. Highest Duty Cycle in class. Best power to weight ratio. Quick and easy fit up with the patented Thermacut Torch Connection System (TCS). Industry‘s Lightest, most Flexible torch lead. Gouging capability, increased versatility and flexibility; capable of more than just cutting. Cost of ownership, has been reduced to the lowest cost per meter in the industry. Industry leading: Investment cost vs Performance return. Manual setup: Operator selects own cutting parameters. Amperage mode: Utilizing the rotary control, the operator selects the optimal cutting current for his application.